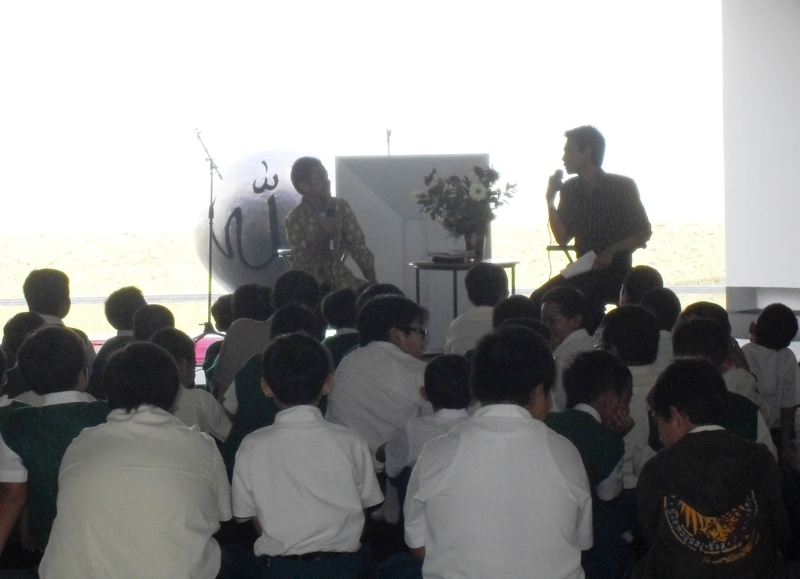 On the 1st September 2010, our school, Al Irsyad Satya, began to start Ramadhan activity. Actually, it was done the whole Ramadhan month, with school time adjusting etc, but we do something different in these 3 days. Meet and greet Albar, the hafidz. Took place in the mosque, we arranged an event in the morning, meet and greet a teenager hafidz. Hafidz is someone who memorize quran. This hafidz, that we invited, is about 15 years old, and he has already memorized 4 juz of quran, while it is still quite difficult for us to memorize the last chapter of quran, which is considered to be the easiest. After the event with the hafidz, students activity continued to the charity action. Students had already collected donation, organized by school, which will be distributed to the poor who lives nearby. School also held a bazaar which sell second products on very low prize, similar with garage sale. Yes, some of it was used things, like clothes, but they are still in very good condition. There were also brand new stuff to be sold, donated by some of the parents. People queuing to get one package of food supplies, given by the students, one by one. Students queue in line to give the donation one by one. When its done, we went back to our class to have class activities, led by the form teachers. My students, Primary 2 students, had fun playing various kinds of games and watching movie. They like it, and well-organized in the classroom, not distracting other classes. 😉 What a great day. May Allah reward all of our good deeds and bless us in every step we make to get close to Him. Amiin. This entry was posted in Ramadan, School Event and tagged my students, Primary 2, school. Bookmark the permalink. This is a lovely post. I’m so appreciative of your sensitivity and awareness. Thank you, Klerat. Thanks for stopping by and commenting.